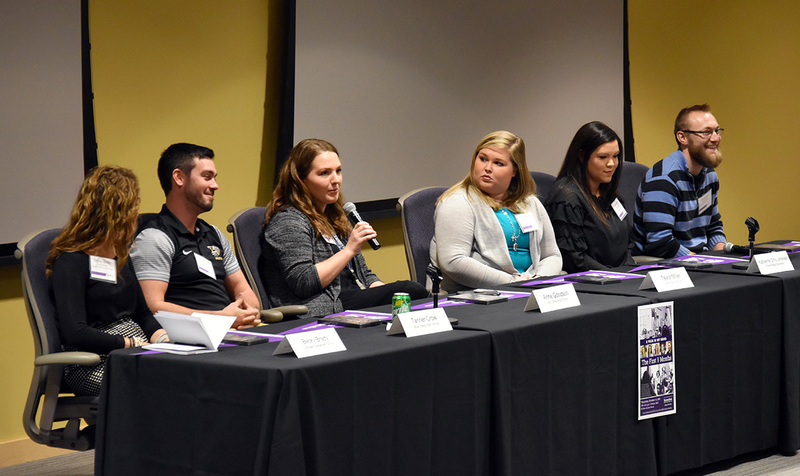 The College of Education hosted an event celebrating education at the K-State Olathe campus last month that offered career changers and prospective students alike the chance to visit with alumni and faculty members. 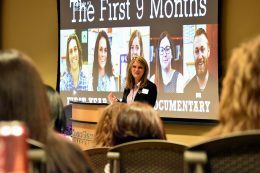 Attendees watched a portion of the college’s documentary released this fall “A Walk in My Shoes: The First 9 Months.” Video participants, Becky Brady (Sunflower Elementary) and Skylar Ross (Pawnee Elementary) with the Shawnee Mission School District, took part in a panel discussion along with Tanner Crow (Blue Valley High School), Annie Goodson (Mill Valley High School), Taylor Miller (Olathe Public Schools) and Katherine Omo Jimenez (Prairie Ridge Elementary). Click here for a full list of the college’s graduate programs.